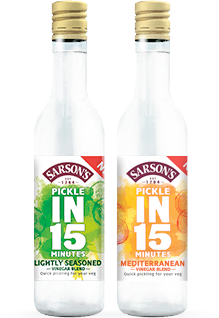 Whether it’s pickling, marinades, dressings or splashed over steaming hot chips, you won’t find the distinctive Sarson’s flavour anywhere else. That’s because our vinegar is the result of careful craftsmanship, purity and the very best British ingredients. 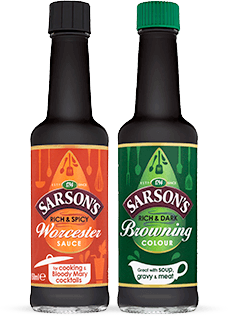 Sarson’s has been made right here in Britain since 1794. Our iconic brand and our commitment to time-honoured traditional craftsmanship has seen us become a true national favourite. 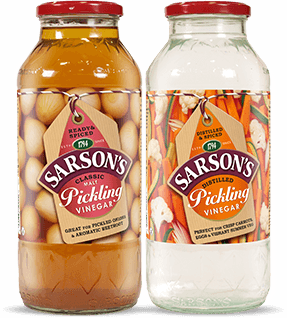 If you hear vinegar, you think Sarson’s! Tickle your tastebuds and jazz up vegetables, fruit, fish or meat dishes with our delicious new vinegar blend… all in just 15 minutes! Find out how to pickle cauliflower with Sarson's easy pickling recipe. Get inspired by our many mouth-watering recipes using vinegar.